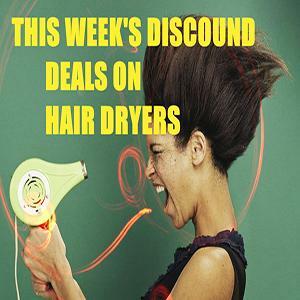 Hair Dryers – This week’s Best Discounts!!! 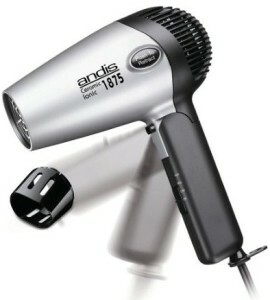 Andis 1875 Hair Dryer has a retractable cord. Reviewers say it is very convenient and saves a lot of hassle and space. While most reviewers love this feature, some say that the cord does not retract enough and that there are still about 10 inches of cord left after it is fully retracted. Others had issues with the retraction mechanism. Overall though, this is a convenient space-saving feature. This is a very small hair dryer. It measures approximately 8.2″ by 6.2″ and reviewers say it fits very nicely in a bathroom drawer. It is not a travel sized dryer though and this product still packs a good amount of power. 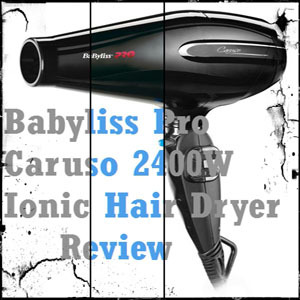 Reviewers say the Andis RC-2 dries their hair very quickly. Many say that they were able to dry shoulder length hair in just a matter of minutes with this hair dryer. Others only saw a small improvement in drying time. This compact hair dryer has a foldable handle. 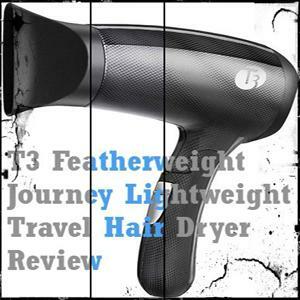 Reviewers love this feature because it saves them a lot of space and it makes this hair dryer very easy to store. Some reviewers say that the folding handle makes a clicking noise, but most reviewers say it works well. This hair dryer sells for less than $20, which reviewers say is a great deal. 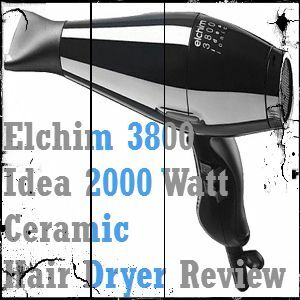 Since this product has very positive reviews and is powerful, this hair dryer is well worth the low price. 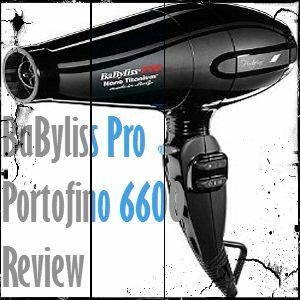 For its size and low price, reviewers say this hair dryer works very well. 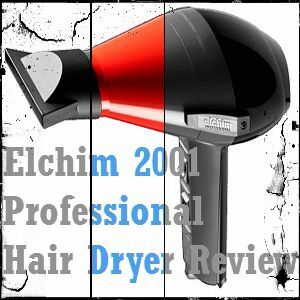 Many were surprised by how powerful this hair dryer is and say it works great. According to reviewers, the Andis RC-2 leaves hair smooth and shiny. The ionic and ceramic technologies that this dryer employs cut down on frizz and leave you with hair that looks and feels great. One great thing about this hair dryer is that it has three different heat settings as well as a cold shot button. Reviewers were very pleased with the heat settings. 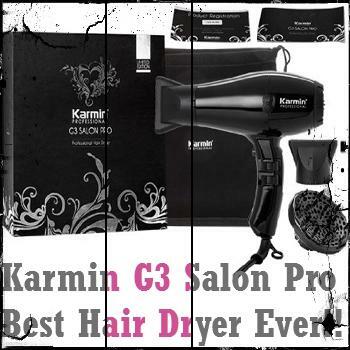 They say that this dryer is powerful but does not burn their hair or their scalp like some other hair dryers can. This hairdryer uses ionic technology to give you smoother, frizz-free hair. 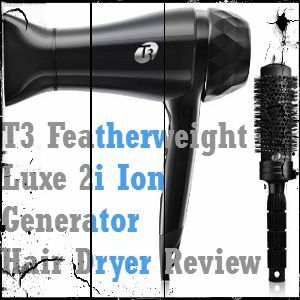 Reviewers like the way their hair feels after using this dryer and say the ionic technology works well. Many reviewers had problems with the retractable cord on this hair dryer. Some say that if you pull out the cord too far it will not retract properly. Others say that the retracting mechanism on their hair dryer simply stopped working after a relatively short amount of time. This is a significant issue because many people purchased this hair dryer just for the retractable cord. All in all, this is an affordable hair dryer that works well and has great features, but also has some draw backs. One of the best things about the Andis RC-2 is that it is compact in size with a folding handle and a retractable cord. Reviewers were very excited about these features because it makes the Andis RC-2 very easy to store and to travel with. 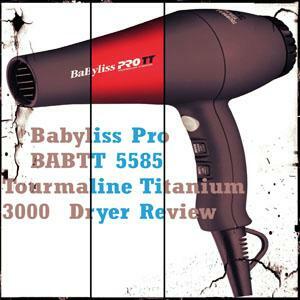 Reviewers also say this is a powerful hair dryer for its size. At just $19.99, this is a very affordable hair dryer. Most reviewers felt that this was a great deal considering how well the Andis RC-2 performs. The main draw back of this hair dryer is its durability. Some reviewers had trouble with the retractable cord and others say that this hair dryer may not last very long. 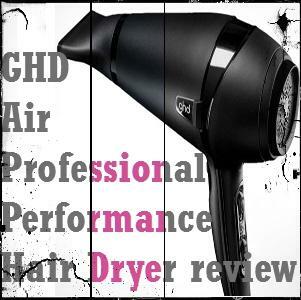 However, some reviewers had hair dryers that worked for several years. 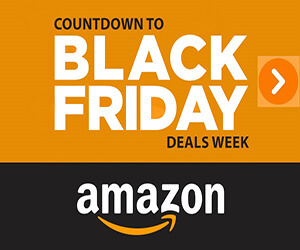 Check customer reviews and know more…. frizzies while conditioning hair. Ionic technology dries hair faster by breaking up water molecules. Moisture balance is restored and the hair cuticle is sealed. 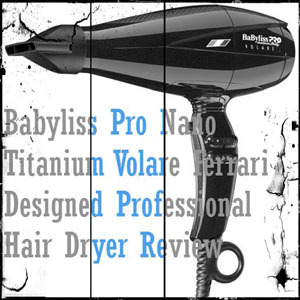 This Andis hair dryer has 3 heat/air speeds for ultimate styling and control and a cool shot button locks in style. 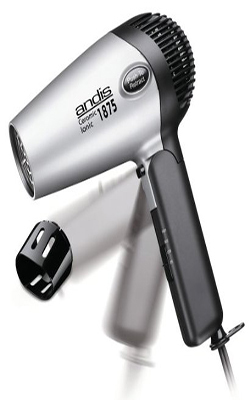 Andis 1875 Hair Dryer features a retractable cord and a folding handle for convenient storage. Designed so that the retracting mechanism can be assisted or guided. 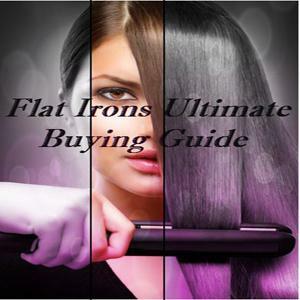 The results achieved with the ionic dryer are immediate. Hair is renewed, repaired and revitalized for a softer, smoother, shinier finish. Best Hair Dryer Reviews Copyright © 2018.